The luxurious textures and colors of silk and silk-blend yarns are spilling over today's yarnshop shelves. 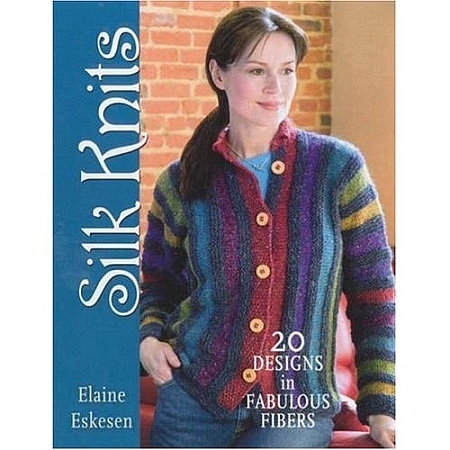 Learn the ins and outs of knitting with these surprisingly versatile fibers; then knit 20 gorgeous designs in styles from romantic elegance to chunky chic. Create 20 projects with a wide variety of silk yarns, from delicate boucles to color-splashed strands. Discover essential tips for working with silk and silk-blend fibers, such as how different yarns will behave depending on the stitches and textures you use. Designs for every season include vests, pullovers, cardigans, shells, and shawls--most are easy enough for confident beginners.